El libro para niños, escrito por el Presidente de EEUU, es un tributo a 13 estadounidenses, incluyendo Albert Einstein y el beisbolista Jackie Robinson. 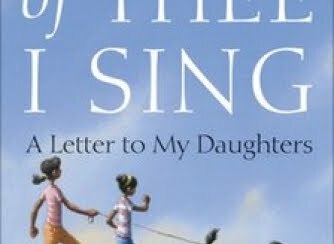 US President Barack Obama has released a children's book entitled Of Thee I Sing: A Letter to my Daughters, a 31-page work celebrating Americans. The book is a tribute to 13 Americans, including scientist Albert Einstein, baseball great Jackie Robinson and painter Georgia O'Keeffe. "Have I told you that America is made up of people of every kind?" 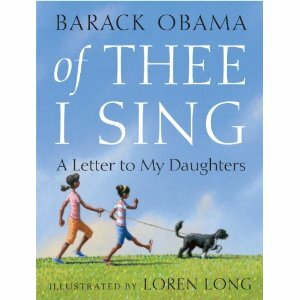 Mr Obama asks in the book. It is written in letter form to his daughters, Malia, 12, and Sasha, nine. The book was completed before Mr Obama took office in 2009, publisher Random House said. The manuscript celebrates the "characteristics that unite all Americans - the potential to pursue our dreams and forge our own path", said Chip Gibson, of Random House. Proceeds of the book will be donated to a scholarship fund for the children of soldiers who have been killed or disabled in service. Mr Obama is also the author of the international bestsellers Dreams from My Father and The Audacity of Hope.